The ultimate motive behind the threatened strike may be to get an enhancement on the current bus fares on the ground that buses are burning more fuel because of the traffic jams. But in reality it will not be the solution as it will be unfair to compel people pay more for an unsatisfactory service. 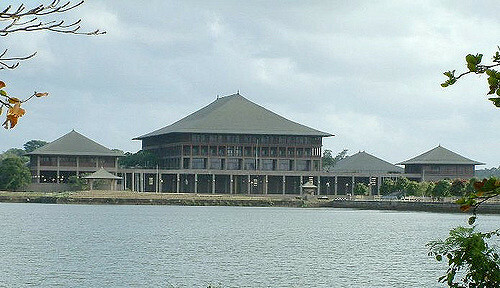 The private bus owners had earlier warned the government that if arrangements were not made to ease traffic congest ion in Colombo and suburbs they would resort to some strike action. 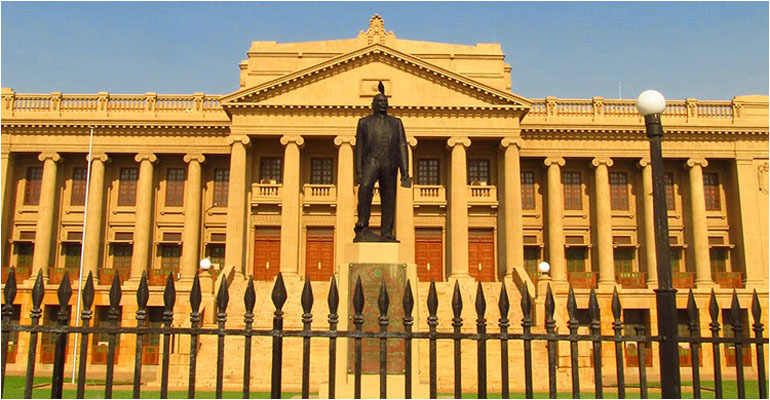 Now after the recent budget proposal to increase traffic fines to a minimum of Rs.2500 they have renewed their strike threat in a different way citing traffic fines as the main grouse. They claim that owing to the traffic congestion buses move only at a speed of about four kilometers per hour causing them heavy losses. They also say that the lane rules which are currently in force have made things even more difficult for them and it is difficult to avoid breaking traffic rules because of the density of vehicles on the road. That seems to be the bus owner’s side of the story. From the people’s point of view, especially when you look at the way buses are plying on the roads today what is apparent is, if not for the lane rule no other road user will be safe. Buses both private and public along with three wheelers and motor bike are the worst offenders on the road and removal of lane rules will be tantamount to issuing them a license to kill people on the road. On the other hand bus drivers themselves are partly responsible for traffic congestions because of the unruly manner they drive. All smaller vehicles are generally at their mercy because of the way they zigzag on the road. The larger issue of traffic congestion, of course has to be addressed differently and we doubt whether government has any quick fix for the problem. 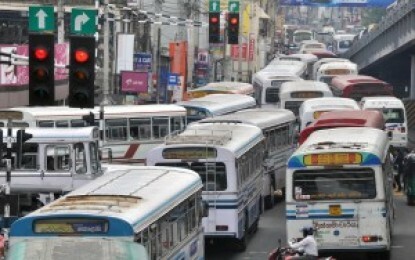 The main reason for today’s traffic congestion in Colombo roads is the excessive number of vehicles entering the city. Most people prefer to use their own vehicles when coming to work because of the lack of a comfortable public transport system. Our failure to develop such a system has encouraged everyone to use a private vehicle be it a car, van or motor cycle to come to the city. It is a well-known fact that in countries where good public transport networks have been developed people are reluctant to use their own vehicles for daily travelling. They prefer to use public transport without having to go through the hassle of driving. Most people even read newspapers while in transport. As a result there are lessor vehicles on the road. As such it is clear that the government has no magical way of reducing traffic on the roads. It has only a long term solution and a part of the solution is to upgrade the public transport system. This will need more comfortable and better quality buses on the road plying according to a time table together with better trained and disciplined personnel manning these buses. But the question is whether all this can be achieved with the current system of individually owned buses which form the backbone of our public transport system. Thus a major part of the problem is the very people who are now threatening to strike. The ultimate motive behind the threatened strike may be to get an enhancement on the current bus fares on the ground that buses are burning more fuel because of the traffic jams. But in reality it will not be the solution as it will be unfair to compel people pay more for an unsatisfactory service.